Have you always wanted to know what it takes to become a journalist? Or what it’s like to travel the world reporting on cool stories? 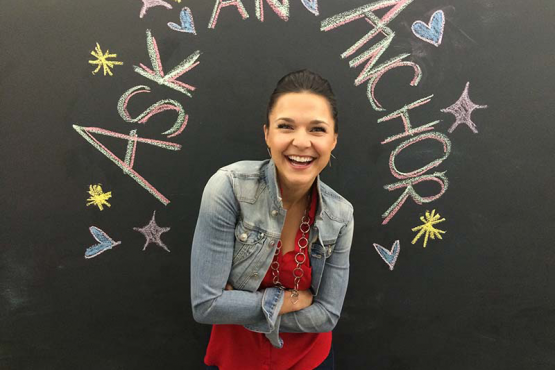 Well wonder no more, because now you can Ask an Anchor! Over the next few weeks each of the Channel One anchors will be taking your questions and answering them on camera. Hey Maggie, Anya Lyman here. You are awesome and amazing. You are my favorite person on Channel One. What do I need to become a journalist and work just like you on Channel One News??? hey Maggie! ally here. any tips on becoming an interior designer???? I’m new here on channel one and I wanted to know if you have any cool experinces working there?! Maggie we love you and think you are beautiful! We wanted to know, how fun is it to be on Channel One News? Hello, Maggie! My classmates and I watch channel 1 almost everyday! Questions!